If you are shopping for a new air-conditioning unit, one of the main considerations is whether to get an inverter aircon or non-inverter unit. Inverter units claim to give more energy savings, and can cool a room faster compared to non-inverter units. However, inverter units also cost more. To help you decide whether an inverter unit is worth the additional cost, read on. Our pros can help you with your aircon installation, with standard pricing. Just fill in this request form and get your aircon installed with our express service! To understand whether you need an inverter or non-inverter aircon, you should know the basics of aircons. All air-conditioning units have a compressor unit that sits outside the window or at the balcony, and a blower, or fan unit that is installed in your room. The outdoor compressor and the indoor blower is connected by pipes. And the aircon gas (known as the refrigerant) flows back and forth in these pipes. The outdoor compressor, as the name suggests, works to “squeeze” the refrigerant from gas to liquid form. This takes the heat out of it and expels it to the outside environment. The compressed refrigerant is then piped to the indoor unit. At the indoor unit, the refrigerant is allowed to expand and turn back into a gas. When this happens, it absorbs the heat from the air around it, making it cool. That cool air is blown into the room. The expanded refrigerant is sent back to the outdoor compressor for another round of “squeezing”. And the cycle continues. An inverter aircon means that the outdoor compressor can slow down or speed up. This is different from a non-inverter, where the compressor can only run at a single speed. When you switch your aircon on, and set the temperature to 26 degrees Celsius (for example), the compressor starts working at full speed. This is the same for both an inverter or non-inverter aircon. The difference is when the room has reached the desired temperature. For a non-inverter aircon, the outside compressor unit will switch off entirely. The inside blower unit will keep blowing and circulate the air. Since the compressor unit has stopped, the room will gradually start to warm up again. When it does, the outside unit will switch on at full speed again. You can usually hear this start-stop operation happening at night, and it might disturb your sleep. For an inverter aircon, the outside compressor unit will not switch off entirely. Instead, it will slow down and use less power to maintain the temperature. 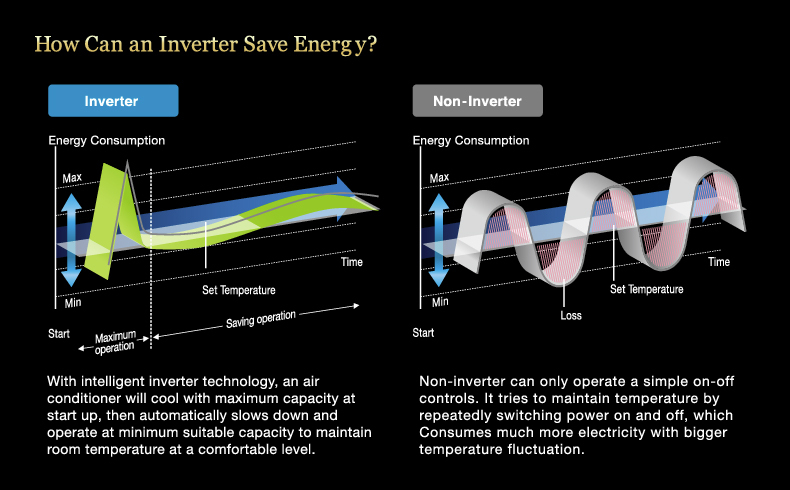 According to aircon manufacturers, non-inverter aircons consume more energy because of frequent start-stop operation. But, because an inverter unit can slow itself down to maintain the room temperature, aircon manufacturers say that you can get up to 30% energy savings compared to non-inverter aircons. If that’s the case, why do I keep hearing about cases where an inverter aircon actually INCREASED energy bills? There are situations where an inverter aircon may not help save energy. One example is if you install an underpowered aircon for a room that is too large. Whether or not you have an inverter or non-inverter aircon in this room, both will have to keep running at full speed to cool the room. There is just too much heat increase for the aircon to reach the desired temperature. Some reports even claim that you will only get such energy savings if you use the inverter aircon for less than 8 hours a day. If you run the aircon 24/7, you may not get any energy savings compared to non-inverter units. Inverter Aircons Are More Expensive. Does the power savings make up for the higher cost per unit? Going simply by the 30% energy savings claimed by inverter aircon manufacturers, by our calculation, if you bought a 2HP inverter aircon unit instead of (a cheaper) non-inverter, it will take you 16.96 months to recover the price difference because of the energy savings. After that, you will save RM46 every month in energy costs. 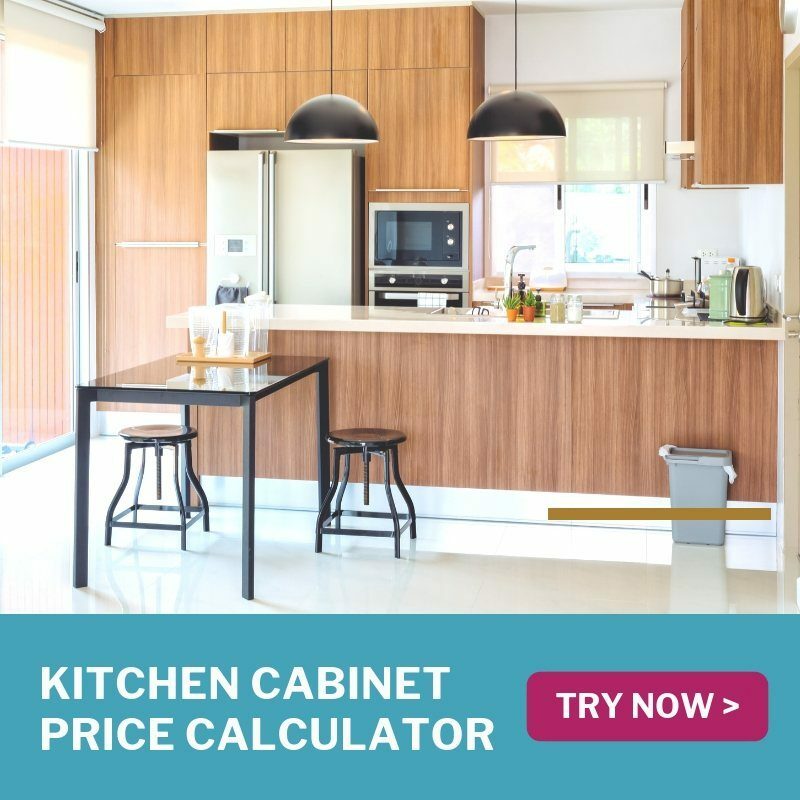 When we checked online prices for Daikin aircons, the price of a non-inverter, 1 HP system-1 aircon unit was RM1299 compared to RM1599 for inverter; a difference of RM300. For a 2 HP Daikin aircon, the difference is even greater; RM2799 for non-inverter vs RM3579 for inverter; a difference of RM780. And since the price difference between a 2HP inverter and non-inverter is RM780, it will take you 16.96 months to recover the cost. Is it more expensive to maintain an inverter aircon? Not really. 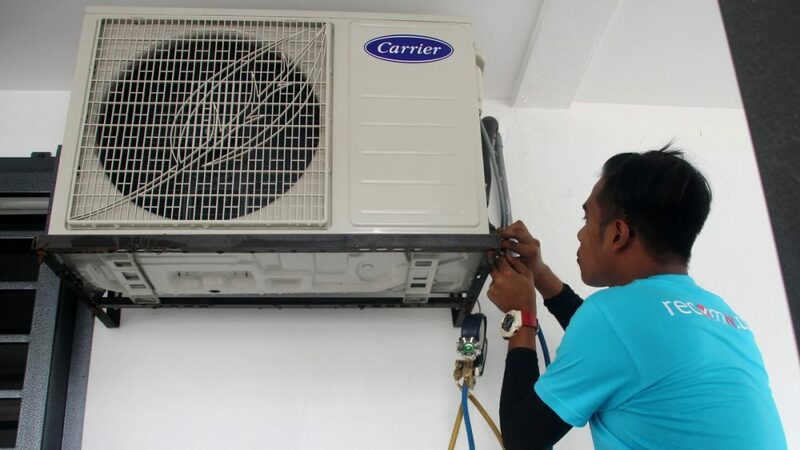 Aircon servicing prices and rates differ only by about RM10 per unit between inverter and non-inverter units. 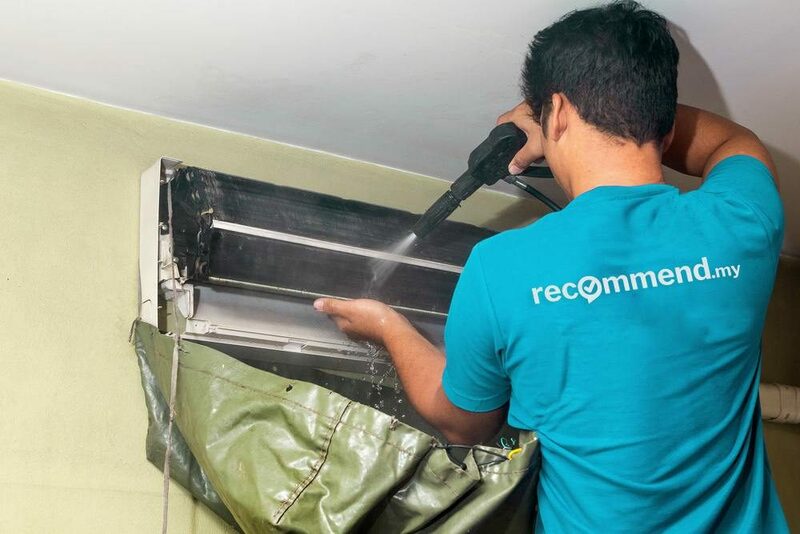 Assuming you service your aircon 4 times a year, the difference is only RM40, which is about the same as 1 month of energy savings. In addition, since the inverter aircon does not have to keep starting and stopping (compared to non-inverter), there is less wear and tear on the compressor and motor. This helps to prolong its life and save on replacement parts. Which are the popular AC models in Malaysia? 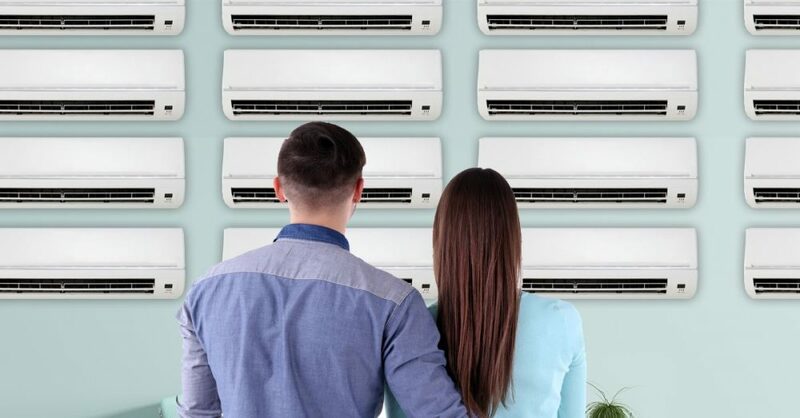 When we checked how many people are searching for different brands of inverter ac on Google Malaysia, we found that Panasonic aircons get the most search, followed by Daikin ac and York ac. However, other popular models include Acson, Mitsubishi, Samsung, Midea and Sharp. 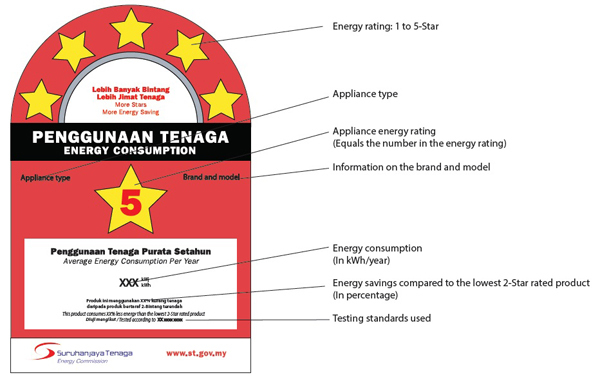 Always check the energy consumption rating sticker given by the Energy Commission. More stars equals more savings. Inverter aircons are reported to have better energy savings than non-inverter aircons. This is because they can slow down and speed up the compressor to maintain the same level of cooling. Non-inverter aircons, on the other hand, can only run at a single speed. And when the desired temperature is reached, it will switch off. When it warms up again, it will switch on. It is this frequent start-stop operation that consumes more energy compared to inverter aircons. Inverter aircons claim to give 30% energy savings because of this feature. However, inverter aircons are more expensive. By our calculation, the additional cost compared to non-inverters will be recovered within a year and a half, and you get continuous energy savings after that. But this is assuming that you have a room where the start-stop operation is going to happen often. Share this with someone who is planning to buy a new aircon! Whether if it’s Panasonic, Daikin, wall-mounted units, or inverter aircons, our aircon pros can help you with the type of aircon installation you need. Recommend.my has hundreds of reliable aircon contractors in Malaysia. Book your aircon installation or aircon servicing at our website and you also benefit from free damage insurance, and refund guarantee (terms apply). The explanation for the inverter type air-cond is not very accurate, but acceptable. Hi Ang thanks for the feedback! Which part is not accurate? 1. When you switch your aircon on, and set the temperature to 26 degrees Celsius (for example), the compressor starts working at full speed. This is the same for both an inverter or non-inverter aircon. Reply : Normally inverter will go for higher speed (Max speed instead of rated). 2. According to aircon manufacturers, non-inverter aircons consume more energy because of frequent start-stop operation. Reply : Non-inverter air-cond has higher power consumption is not due to frequent start/stop. Frequent start/stop will shorten the parts’ life span and cause voltage drop, but very minimum contribution to power consumption. 3. Aircon manufacturers say that you can get up to 30% energy savings compared to non-inverter aircons. Reply : The energy saving is caused by part load operation. Meaning to say, the energy saving percentage is depends on application. For example, if the installed inverter a/c capacity equal or less than required capacity, then inverter a/c might consume much more power than non-inverter type. 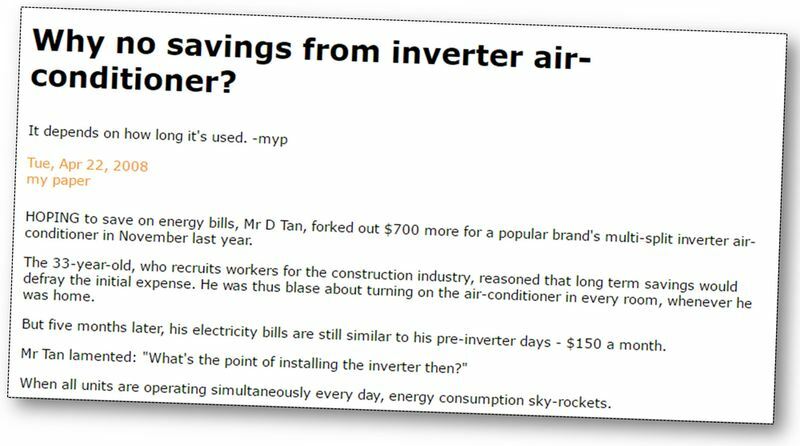 Conversely, saving of 60~70% is possible (compare with 2 star non-inverter a/c) if proper capacity selected and proper installed. 4. Aircon servicing prices and rates differ only by about RM10 per unit between inverter and non-inverter units. Reply : Actually there should be no different between inverter and non-inverter in terms of servicing price. But there are 2 electrical boards at the outdoor unit (mainboard and power module), which are quite expensive. If either one is faulty, the cost will be quite high. In addition, besides energy saving, inverter air cond can maintain a very consistent room temperature. It is a important advantage if compare with non-inverter. Generally, the temperature fluctuation for non-inverter is quite significant, which will affect the comfortable level (roughly 2 ~ 4 degree Celsius depends on models). It depends on how you gain the knowledge, either theoretically “inverter air-cond” will begin to save energy after its maximum operation time (e.g. 8 hours). The question is, what happen if the air-con will never reach the temperature that we have set, for instance 16 degree. Thus, the benefit of having inverter airconds varies and depend greatly on how to use the aircond, whether our room is exposed to direct sunlight, etc etc. There is no fit equation that, inverter saves energy, but sometimes, you pay more instead. Each situation and context varies.